Cord vs. wrap vs. hybrids - Each golfer is alike in how particular they are when it comes to the feel beneath their hands. The main thing you want to be aware of when you are selecting your new grips is asking what type of feel you like. When looking at the different types you will notice that some grips are your standard tour velvet type (you would recognize these as your standard stock grips). These cord grips are some of the most popular among pros because they offer both grip and comfort. 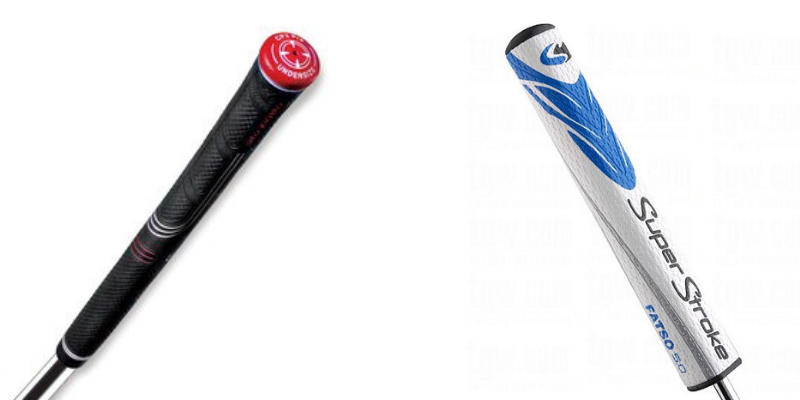 Your tradition wrap grip will give you more comfort but many find it lacks in the grip department. Lastly, similar to the multi-compound grips that many manufacturers make, they blend a cord grip and a softer gel type grip to balance grip and feel. Grip setup - When you are selecting grips, you may want to take a look at what is “under the hood”. Do you have wraps or extra tape underneath there? You may recognize certain tour pros who use multiple wraps and tape combos to achieve the best feel. Seeing that there is no right or wrong when it comes to what feels comfortable, you will need to determine what helps you play your best golf. Grip size - Determining your grip size is something that the vast majority of golfers don’t do. When you are getting fit for clubs, fitters will often measure your hands and ensure that you need either a regular grip, midsize, jumbo etc. The necessity for the right size grip comes to have your hands lay at rest during your gripping of the actual golf club. If your grip is too big or too small, you will see a negative effect on your golf game! Whenever you are selecting a new grip, taking a look at the different types of golf grips, or deciding to re-grip your clubs yourself, always make sure to chat with your local club pro, club fitter and do your research before you make the decision. 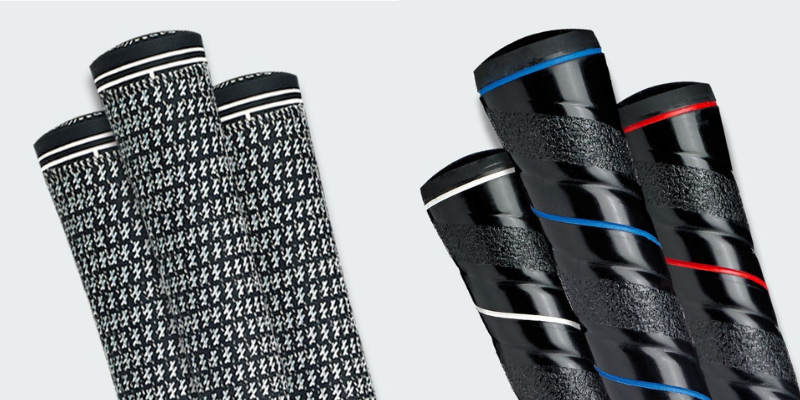 Like your car tires, your golf grips are the only thing that separate you from the clubs themselves so make sure to take extra care of them.